NEW YORK - An 84-year-old Long Island grandmother says she was injured and humiliated during a strip search at John F. Kennedy International Airport. However, TSA said no strip search of Zimmerman was conducted. Lenore Zimmerman of Long Beach, L.I., said she was on her way to a flight to Fort Lauderdale, Fla., when she was whisked into a private room by security who removed her clothes. Zimmerman, who is 4'11", told the New York Daily News she is hunched over, walks with a walker, weighs 110 pounds and is going to be 85 years old in July. "Do I look like a terrorist?" she asked. Zimmerman says she was searched after she asked to forgo advanced image technology screening equipment because she worried it would interfere with her defibrillator. The retired receptionist said she normally gets patted down at airline security. But this time, Zimmerman said, two female agents escorted her to a private area. At one point, Zimmerman said, a metal bar of her walker banged against her leg and blood trickled from a gash. "My sock was soaked with blood. I was bleeding like a pig." But, she said, the TSA agents showed no sympathy. Zimmerman said she got no response when she asked them, "Why are you doing this?" 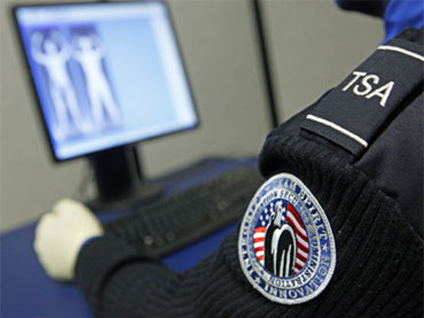 TSA public affairs spokesperson Kristin Lee told CBS News that a review of closed circuit TV indicates that a "private screening was requested by the passenger, and was granted." According to TSA sources, there was nothing unusual detected when Zimmerman and the security agents left the private screening area. Lee told CBS News that "TSA screening procedures are conducted in a manner designed to treat all passengers with dignity, respect and courtesy and that occurred in this instance. "While we regret that the passenger feels she had an unpleasant screening experience, TSA does not include strip searches as part of our security protocols, and one was not conducted in this case."